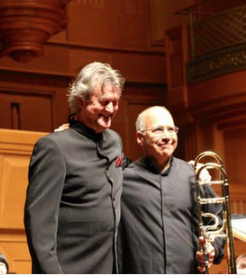 Principal Trombone of the New York Philharmonic Joe Alessi is back with Hannaford, with acclaimed conductor Johan de Meij. Together they bring an extraordinary display of musical artistry that is unmatched internationally for a season finale that promises to be the highlight of the year. The band never sounds better than with these two incredible musicians and we can’t wait for this show to cap off a terrific season.